What? 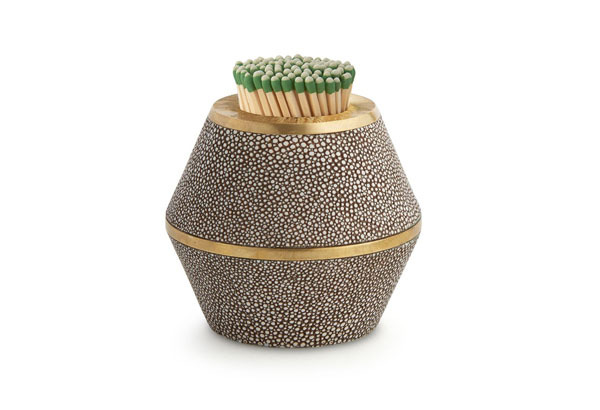 This shagreen matchstriker has to be the best looking fire maker we’ve ever seen. Made from brass with a resin polish, it gives a light stingray effect, highlighted by the chocolate brown rims. It’s effortlessly cool whether in a drawing room, smoking lounge or out on the patio. Pass the cigars please. Priced at £195.